If you love the sea, you will want to add this piece to your home. 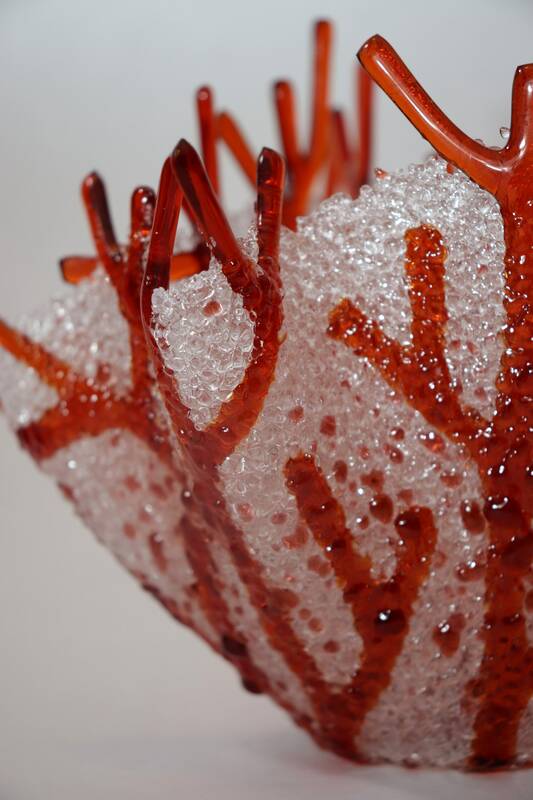 Glass vase in the shape of coral from the sea. 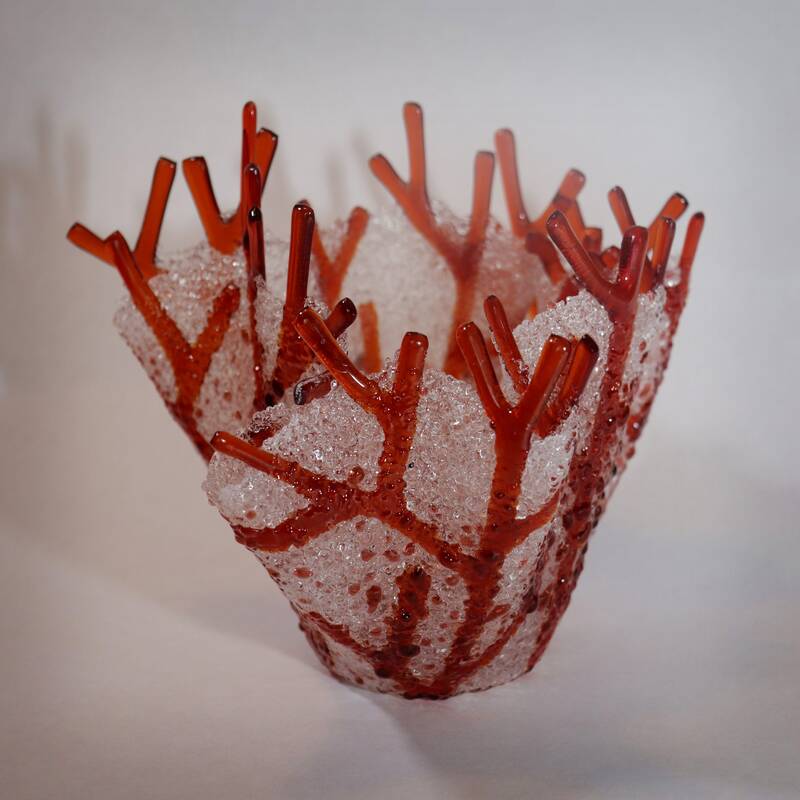 The coral is made from sunset coral glass and the spaces are filled in with clear frit. This piece does hold water making it a beautiful vase or add a candle for a beautiful glow. The piece measures approximately 6.5 inches high and 6 inches in diameter. This is a one of a kind piece, requiring 3 firings to complete. 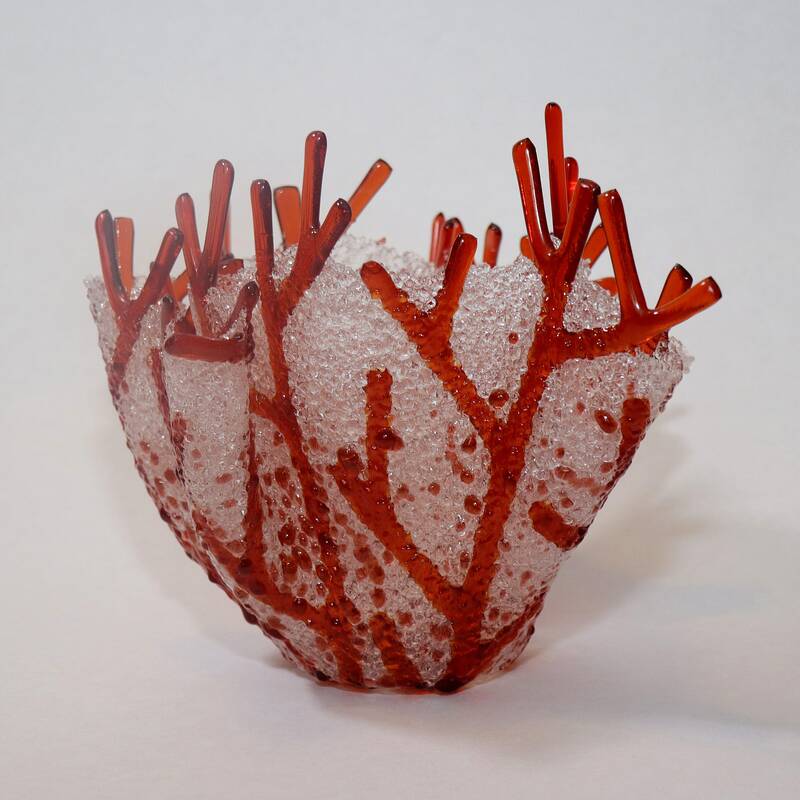 The first kiln firing fuses the colored coral together. A second firing, not quite as hot, fuses the clear frit making the piece water tight but allows the texture to remain giving the piece an under the water feel. The third firing shapes the piece. This piece makes a great gift for weddings or house warming. I am happy to enclose a card with your personalized message. Simply add your request in the 'notes to seller' section at checkout.